Have You Heard? Marquis At Home is here to help you remain independent in your own home. They bring the Registered Nurse, Physical Therapist, and Occupational Therapist right to your doorstep. Join us in our discussion with Jennifer Eastlund, RN. 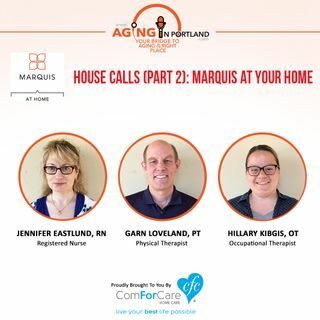 Garn Loveland, PT, and Hillary Kibgis, OT, of Marquis At Home.